Senator Kamala Harris was born in the city of Oakland in the state of California in the United States of America. But don’t expect those facts to come between right-wing trolls and their tinfoil birther hats. Barely a week into her presidential campaign, Harris, a black Democrat running to become this nation’s first woman president, is being targeted with false claims that she is not a natural-born American, which would make her ineligible to serve if she wins the 2020 general election. Stop me if you’ve heard this racism before. You don’t have to be former President Obama to recognize this ploy for what it is — another craven attempt to derail a serious black presidential candidate. More than a decade ago, fringe right-wing conspiracy theorists made up a scurrilous lie about where Obama was born. In 2011, Trump signed on as the bombastic clown prince of the birthers. The story wasn’t true of Obama then; it isn’t true about Harris now. What hasn’t changed is the right’s need to delegitimize anyone who doesn’t look like 44 of this nation’s 45 presidents. Calling a black candidate’s citizenship into question goes beyond political gamesmanship. Its consequences cut deeper than who wins or loses an election. It’s why Michelle Obama says she won’t forgive President Trump for trying to undermine her husband’s natural-born citizenship. Barack Obama was born in Hawaii, though a majority of Republicans still aren’t convinced; neither are 14 percent of Democrats. That’s the target audience for the anti-Harris birther campaign. 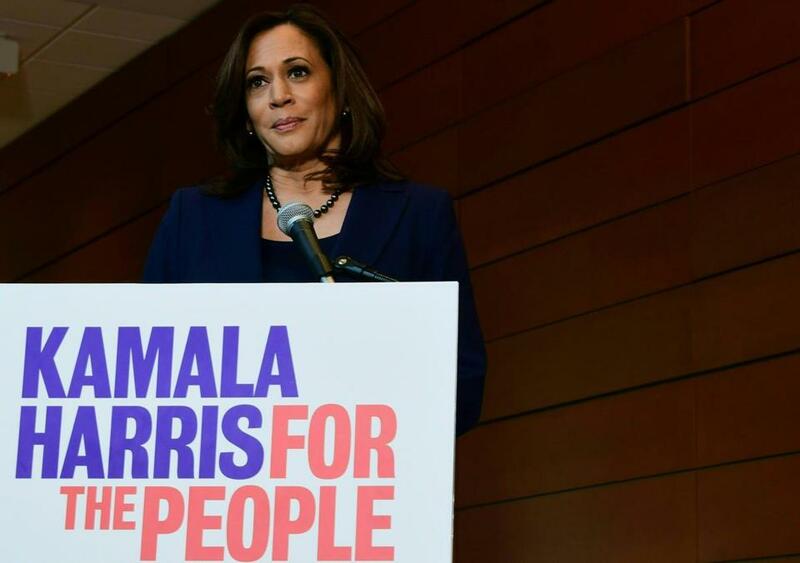 Birthers claim that since neither of Harris’s parents were born here, and had not lived here for five years prior to her birth in 1964 making them eligible for naturalization, she is not a native-born American. All of this is moot since Harris was born on US soil. Eligibility questions based on birthplace didn’t begin with Obama. When Chester A. Arthur, of Vermont, became president after James Garfield’s assassination in 1881, some political opponents claimed without proof that he was born in Canada. In 2008, the US Senate passed a non-binding resolution recognizing Senator John McCain, then a presidential contender, as a natural-born citizen. McCain faced questions about his 1936 birth at a naval station in the Panama Canal Zone. Still, as with Obama, the focus on Harris’s birthplace feels more sinister. She may be spared the “likability” question that many women candidates face. Since black women are always considered angry, likability is already off the table. Yet as a black woman, Harris will be viewed with suspicion by those convinced that someone who looks like her isn’t a real American, and therefore shouldn’t be president. That’s always the unspoken message in these birthplace questions fired at candidates of color, including Senator Marco Rubio and former Louisiana governor Bobby Jindal. There’s also the discrediting notion that such candidates need some form of trickeration to dupe voters, like a con game as candidacy. With her long history in public service, Harris will have plenty of questions to answer about decisions she made as an attorney general and district attorney. That’s fair. What she shouldn’t have to endure are ill-informed queries about her place of birth or her American citizenship. Natural-born citizenship was established as a presidential requirement to protect America from foreign influence. Of course, the Constitution’s authors could never have imagined our nation would someday need safeguards from a president like Trump — born in America, and squarely in the pocket of a Russian dictator.